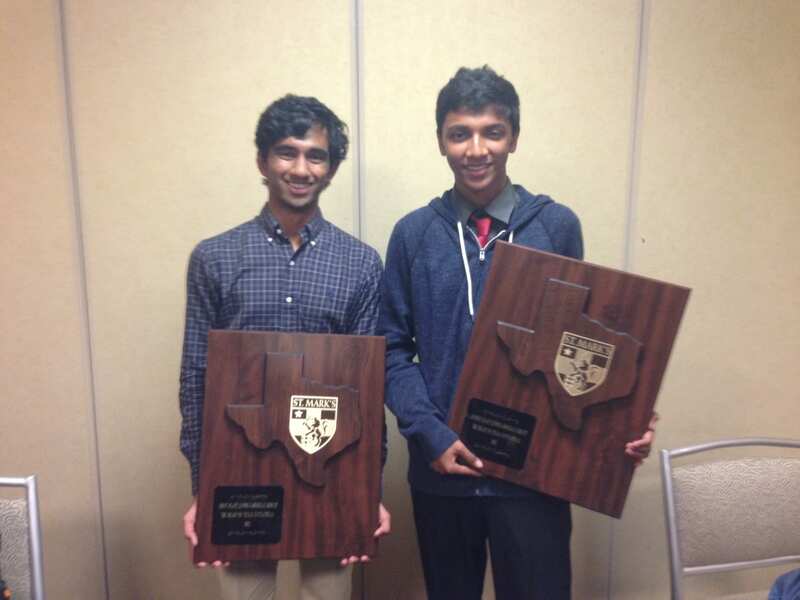 Dallas, TX- Congratulations to Harker’s Pranav Reddy and Westwood’s Akhil Gandra for advancing to the final round of the St. Mark’s Heart of Texas Invitational. On a narrow 2-1 decision (*Theis, Mackenzie, Woodhouse), Akhil was victorious. Pranav is coached by Nikhil Nag, Ryan Fink, and Greg Achten. Akhil is coached by Ben Clancy.